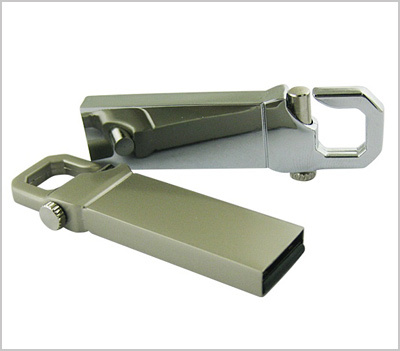 Introducing a stylish, all metal drive, with a spring loaded clasp that attaches to most keychains. Great for either pad printing or engraving. Inches: 1.92" x 0.62" x 0.23"